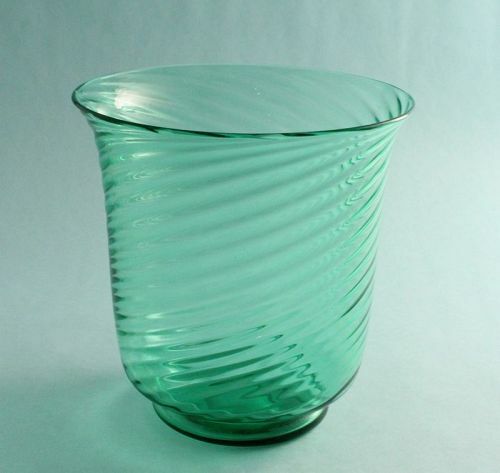 Steuben optic swirl vase in Pomona Green glass. The gently flaring form is Frederick Carder's original design number 6030 as illustrated on page 277 in "The Glass of Frederick Carder," by Gardner, circa 1920. 7 1/8" H., 7 1/8" W.